ever since i was small, i've spent countless hours lost in my headphones, mesmerized by music. as a teenager i shifted from classical piano lessons to sound-smithing on the synthesizer, and in college discovered my true obsession -- music for the dance floor. in 2001, one of my favorite DJs suggested I get some turntables of my own. so I took his advice and got started making mixes for my friends, playing at small private parties, and spinning to support my favorite community organizations. 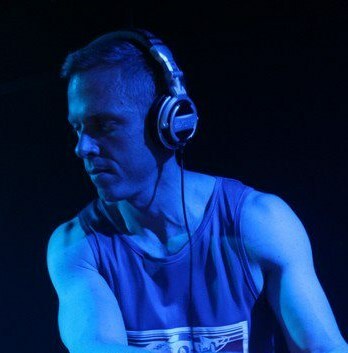 over the past 15 years, i have had the honor of providing the soundtrack for fabulous events and huge parties at some of the world's hottest venues, such as: The EndUp, BeatBox, FRESH - Ruby Skye, Mezzanine, LOOKOUT, SoundFactory, Public Works, Eden - San Diego, Bent - Portland, REAL BAD events RECOVERY & REACH, and DAYWASH - the hottest finale party of Sydney Mardi Gras!